Lionel Fogarty, a Yugambeh man born on Wakka Wakka land, is an award-winning poet and longtime Aboriginal rights activist. He spoke with Amnesty International campaigner Roxanne Moore to reflect on 40 years of political poetry, justice, revolution, and the 1967 Referendum. Q What inspired you to write poetry? A I grew up in a mission, Cherbourg Aboriginal Reserve, and there was always a lot of teaching, writing and stories around the campfire. When I was 15, I went to Brisbane. I used to do a lot of speaking, and started to do a lot of political writing. I was locked up with charges of conspiracy against the state. Getting locked up at 15 years old in a maximum security prison raised my consciousness about the system. I was learning to read and write, reading a lot by the great revolutionaries, like Malcolm X. The rallies and the protest speeches I was involved in inspired me. I started writing a community newspaper called Liberation. I was collecting poetry from other Aboriginal poets and activists for the magazine – Kath Walker, Jack Davis, Bobby McLeod. This influenced me to develop my own poetry. Telling stories is part of the way of my culture, it comes from a speaking tradition in my family. 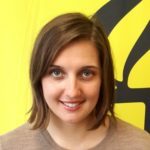 Q Why do you use poetry to discuss injustices to Indigenous people? A I always wanted to get to tell the truth in my poetry. When my brother Daniel was 18, he was murdered by the cops. For me, poetry was a way of channelling my anger and the injustice, a way to discipline it. The prison is outside as well… the system knows that we are doomed. White people will usually not come across this experience in their life. I think about my brothers in jail writing poems, I think about those who have died in custody. It gets to me. Prison did affect me. When you are in there, you want freedom, but when you get out there’s still no freedom. I’m still a bit damaged. I’m healing, getting there. I wanted to use poetry to expose these injustices – from Aboriginal deaths in custody, to land rights, racism, domestic violence, recognition of our unknown warriors – it gives me an opportunity to speak. that happiness is surrounded by death before life. Hard times before easy times. If I can get the truth out there about what’s happening in our national causes, I feel really justified. Q What reflections do you have on the 1967 Referendum and reconciliation? A At the time of the Referendum, I was 10. Everyone was singing and yarning about what was happening. The pride and dignity of our people had been recognised. There were lots of discussions of freedom. People thought it would be easy now to get a good job. You used to have to apply for an exemption, like my grandfather. After the vote we weren’t meant to have to, but most of us still had to. There was a little bit of change but no revolution at all. The Stolen Generation existed and still does. 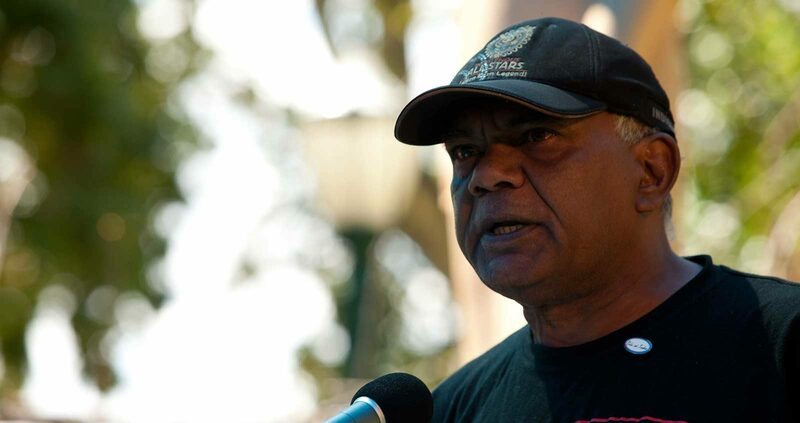 When I got to Brisbane, the revolution started happening – Vincent Lingiari and land rights. People started to take a stand. But there are barriers to our sovereignty, people need voting rights and power but on our own terms. The people that walked across the bridge for reconciliation, now when we go out to rallies – where are they now? This struggle is one that needs people to come together. Justice is achieved through reconciling people in their consciousness. We haven’t got there yet. Q What are your hopes for the next generation? A I want kids of the next generation to know their languages. I write my poetry in my language because it is important. I ran a black community school in 1976. I want learning language for kids to be mandatory. I want them to have higher education and an understanding of other people’s struggles. Things are starting to change. I am involved in a men’s group with 20 young writers – young fellas in trouble with the law – and we presented their work to the magistrate and now they are back in the community. Things are moving forward in some ways. 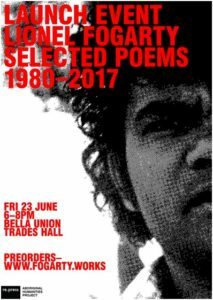 Lionel Fogarty Selected Poems 1980-2017 will be launched on Friday 23 June, 6-8pm, Bella Union Trades Hall, Melbourne. See www.fogarty.works for more information.